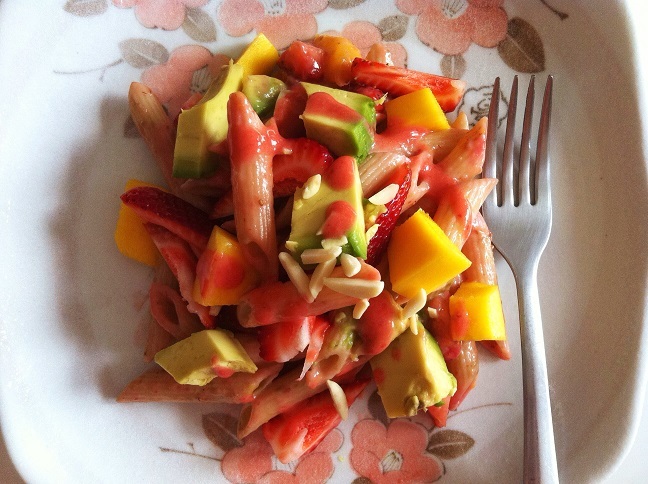 Penne pasta mixed with sweet mango, fresh strawberries, and creamy avocado in every bite and drizzled with strawberry balsamic vinaigrette. This pasta salad is light and delicious, perfect for a spring or summer meal. 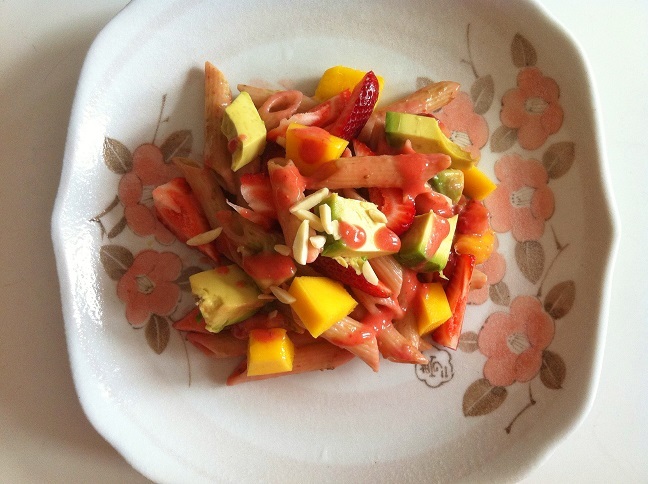 This refreshing summer pasta salad is exactly what I needed after partying this weekend. Seriously, dessert galore these past two days. 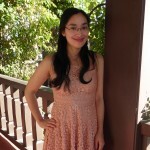 I just came back from a fun and exhausting weekend up in Davis, attending a friend’s wedding. It was such an amazing outdoor wedding. I’ll have to share photos with you another time. Once I got home though, I wanted something a little bit more refreshing and light. This pasta was the solution. The recipe is so simple to make and so very delicious. It’s filled with so much fresh fruits and even the dressing is made of fresh fruits. Doesn’t it sound healthy? And if you’re on a special diet, you always buy a specific type of pasta too. 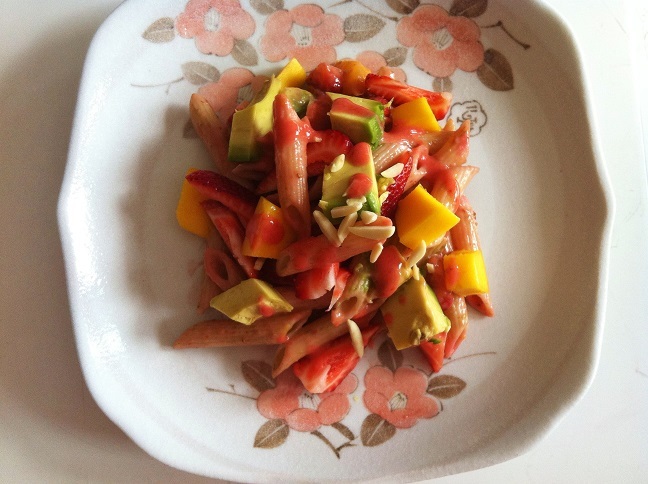 Although strawberries are one of my favorite fruits, I have to say that the mango was what made this salad amazing. 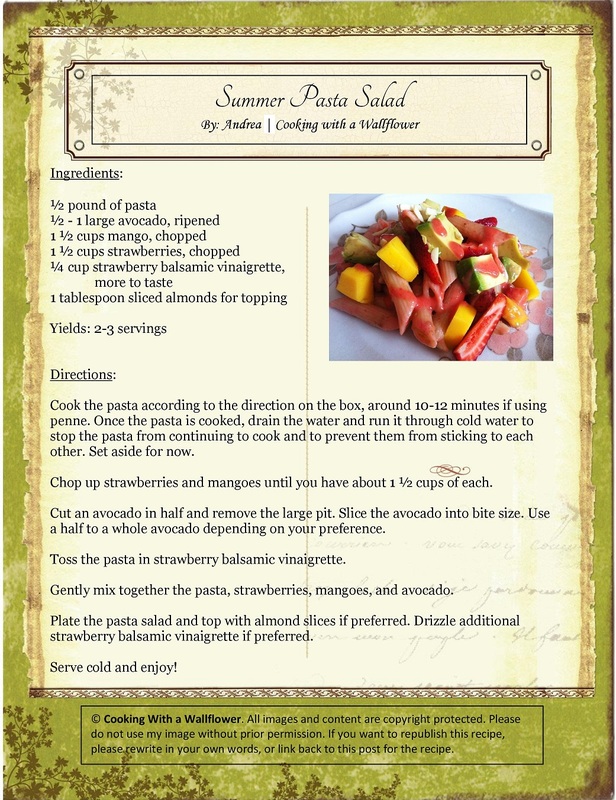 The sweetness of the mango really enhanced the salad. 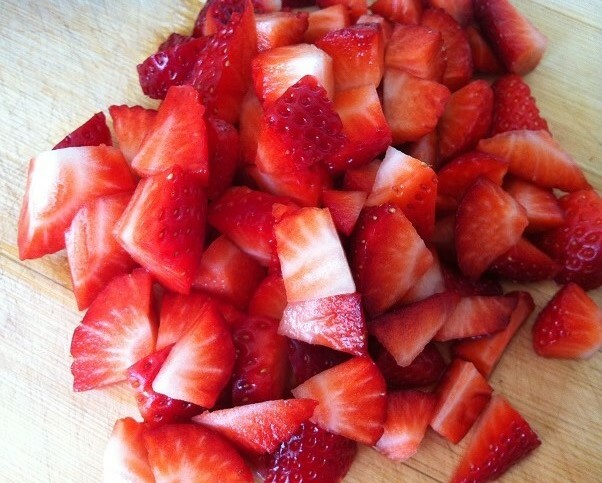 The strawberries were also sweet, but sometimes it can also be a little bit tart. It was perfect paired with the mango. The creaminess of the avocado was an added plus to the salad. I decided to use strawberry balsamic vinaigrette because it gave the salad a fruity refreshing taste. However, if you prefer a different dressing, you can also use that. First, cook the penne pasta according to the package. 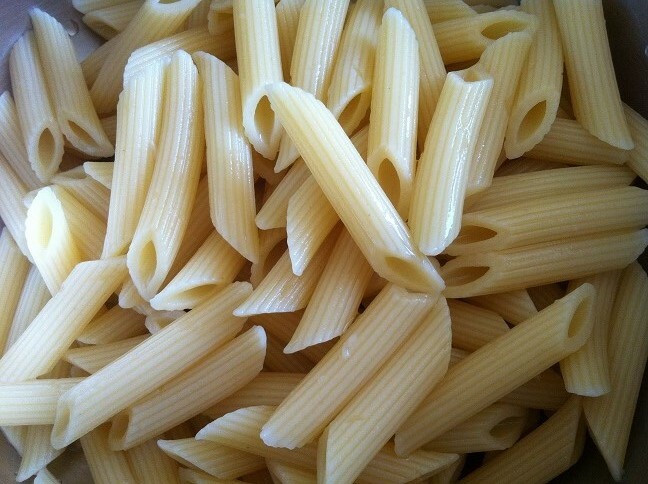 I boiled penne for about 10 minutes until it has softened to your liking. 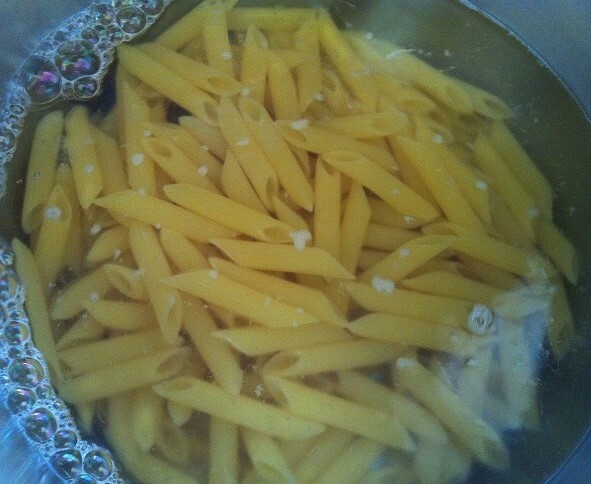 Once the penne pasta is done, drain the water and run it through cold water to prevent it from continuing to cook and to keep them from sticking to each other. Set aside for now. 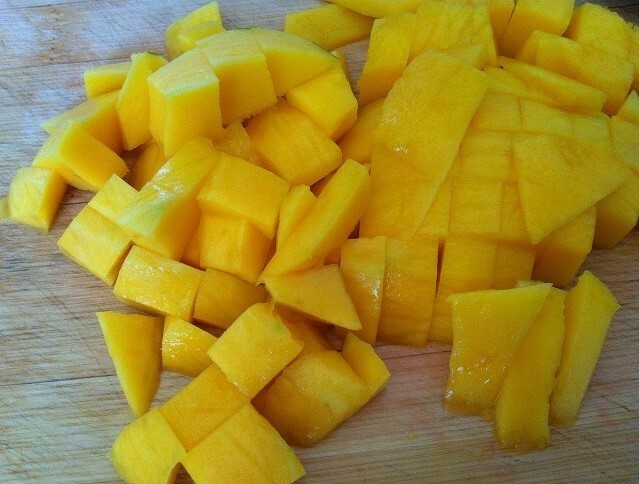 Cut and slice mangoes and strawberries until you have about 1 ½ cups of each. 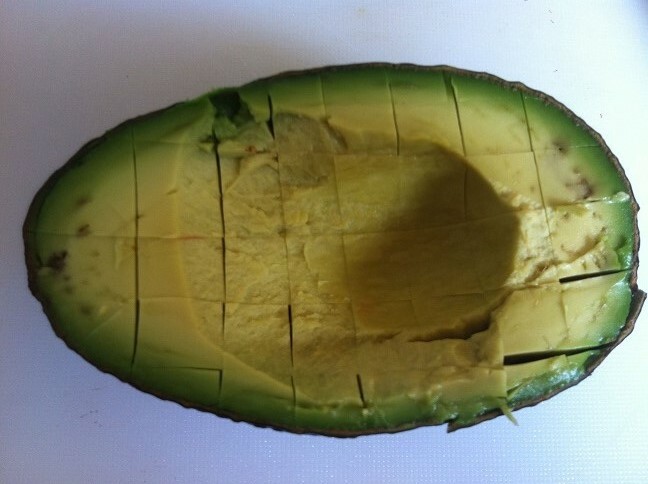 Cut a large avocado in half and remove the pit. Slice the avocado into cube size pieces. Use from a half to a whole avocado depending on your preference. Gently mix all the ingredients together. You don’t want to mash the fruits and avocado so make sure you’re gently mixing. 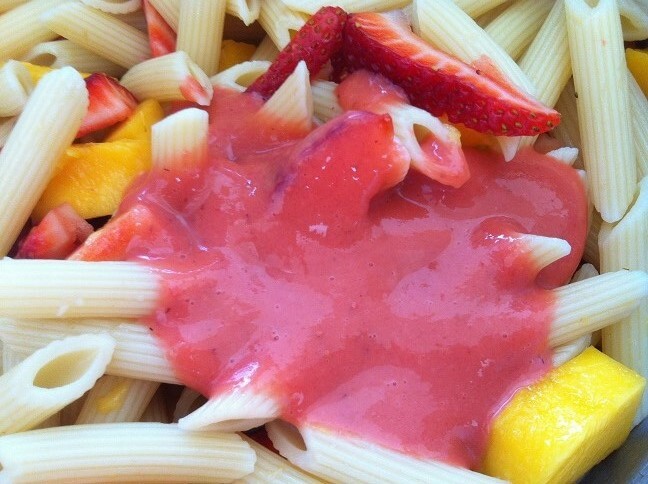 Drizzle strawberry balsamic vinaigrette on the pasta to taste, or toss the penne pasta in the vinaigrette to coat evenly coat them. I tossed my pasta in the vinaigrette and then drizzled some on top for the nice reddish pink color. Top with almonds if desired. This entry was posted in Cheap foods, Entree, Gluten Free, Healthy, Pasta, Quick and Easy, Recipes, Spring Cravings, Summer Cravings, Vegan, Vegetarian and tagged avocado, Food, gluten free, healthy, mangoes, Pasta, quick and easy, recipe, salad, strawberries, summer cravings, vegan, vegetarian. That’s what I’ve been hearing from so many people. Hope you’ll like it! 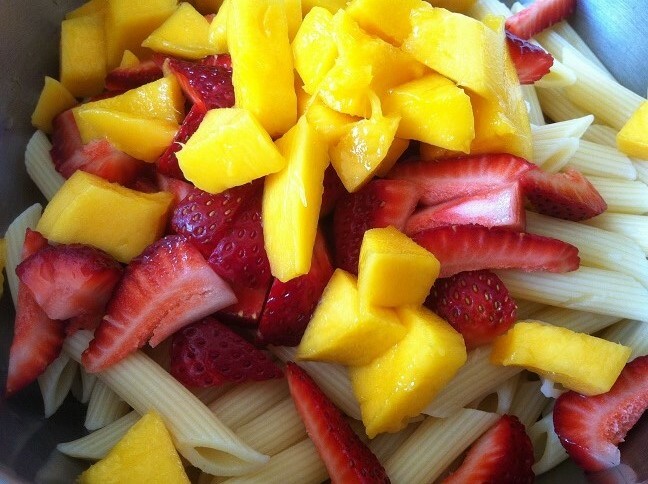 This is delicious.. Where can I find you? 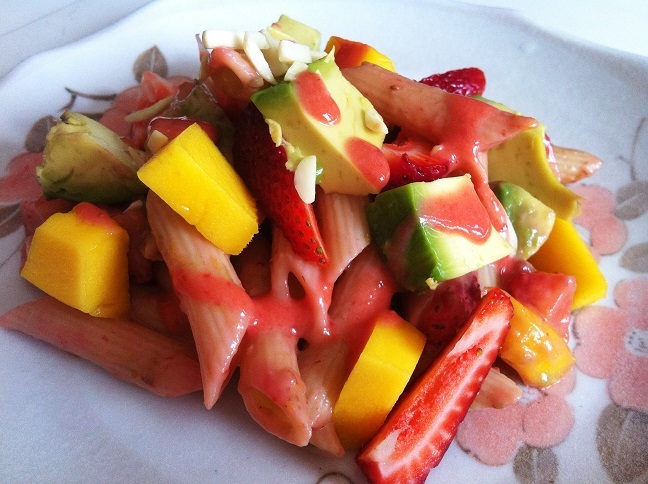 What a great idea…sweet pasta salad! Would have never occurred to me…. I see! That is fun! Going to have to try it some time!